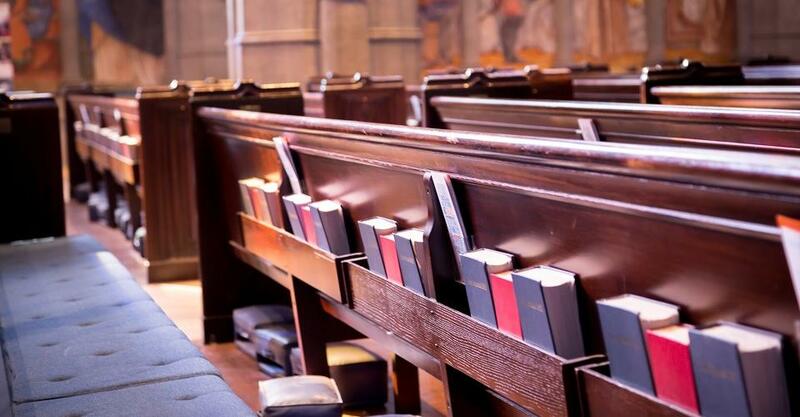 Although churches are often viewed as safe havens, they can be vulnerable to devastating violent acts, just like other businesses and organizations. Identifying the warning signs of a violent situation, knowing the best practices for protecting your church and getting fellow church members on board with increased safety and security efforts can seem overwhelming. These topics and more were discussed in a recent webinar held by GuideOne Insurance. As you’ll see below, webinar participants asked thoughtful questions. Brian Gleason, senior risk manager at GuideOne, and Carl Chinn, independent church security consultant, have the answers to these questions. Q: Throughout the webinar, you mentioned DLR. What does that mean? A: DLR is an acronym for “Doesn’t Look Right”. This is a description of a person or situation that is out of the ordinary or suspicious. Q: During incident collection, do you also track whether or not the aggressor had a relationship to the church or a member in the church, or if the aggressor was strictly a stranger? A: The current statistics show that approximately 22% of aggressors are directly related to the church. Q: What are the insurance implications of granting permission to carry concealed weapons in the church? A: Anytime you allow or encourage the use of firearms in your organization you are essentially giving permission for your representative to take a person’s life. This should be done only after a thorough review of the ramifications. More information regarding concealed carry can be found here. Q: How do we influence others in the congregation to understand the need for a safety ministry? Our congregation doesn’t see the need for an organized ministry and doesn’t want to be involved. A: We recommend starting with the church’s leadership. Without leadership buy-in, no program will be effective. You can start with a conversation about the shepherd’s duty to care for the flock and the statistics provided in the webinar. Q: Where do we go for local and regional safety defense and reporting compliances? A: A good place to start is your local law enforcement agency and district attorney. They can give you a clear picture of the legal landscape in your area. Q: Define your ideal security team. In a very small church where a police presence might not be feasible, what would you suggest? A: A good first step is identifying a couple of people to specifically be eyes and ears. Place one inside and one outside during events and services to be aware of what’s happening on church grounds. Q: How frequently should training occur? A: Do some kind of training at least once a month – even if it is 15 minutes before service time. Make it a team practice to read the “Think About It” article once a week at carlchinn.com. Q: How do you address large bags or boxes? A: Bags are a regular item at church services (diaper bags, large purses, oxygen bottles). We recommend first establishing a threat intelligence program for your church. If the threat level reaches the highest category (whether a known threat in the area or specific to your church), have a “no-bags allowed” status only for that event. Q: How many safety personnel do you recommend to be available on a given day, and should they be placed in any particular place? A: The number and placement of security personnel depends on the size, location and nature of the event, as well as any known threats. If you only have two people, one should be assigned to the outside. Beyond that, positions vary. Ratios are being defined by a study of the Faith Based Security Network, but until the study is complete, the estimate is 1% of the congregation on active duty at any given time for events with over 1,000 attendees, 1-3% for events with 100 – 1,000 attendees and 2-4% (but never less than two individuals) of crowds of 100 or less. Regardless, we are not talking a large amount of people dedicated to just patrol. But all teachers and volunteers should be on alert and know who to call. Q: How well have you trained your staff on first aid/trauma care? A: Training and supplies for the medical portion should be as much, if not more, of a focus than training and equipment for the protection team. Any team will deal with medical emergencies more frequently than violent crime. Recruit people who are already medically certified, and if that is not feasible, send trainable people through your area Community Emergency Response Team (CERT) program. Miss the webinar? We know life gets busy, so we made sure to record it for you. Along with the webinar recording, you can download valuable resources on church security and violence prevention. We are a family-owned insurance agency. Every day, we serve over 2,000 ministries and Christian schools and non-profits across the country. Your administration needs require an integrated and seamless approach. We can help. Register Account | Forgot Details?